After the staggering expanse of some of the cows we’ve seen recently, people have been calling out across the world for more bovine content. 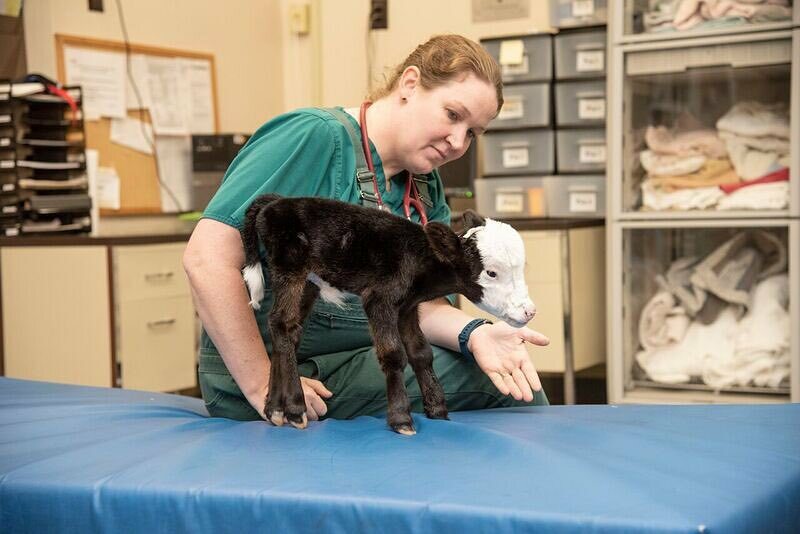 Thankfully, the world listened, and here we have for you what is thought to be the world’s smallest cow. We’ve had Knickers and Dozer, and those guys were undeniably impressive in their stature. But Lil’ Bill is going to be melting hearts everywhere thanks to his diminutive size. The little fella weighs just 4.5kg, which is about the same a domestic cat, but just a tenth of what other cows his age should weigh. We share this planet with many incredible animals. 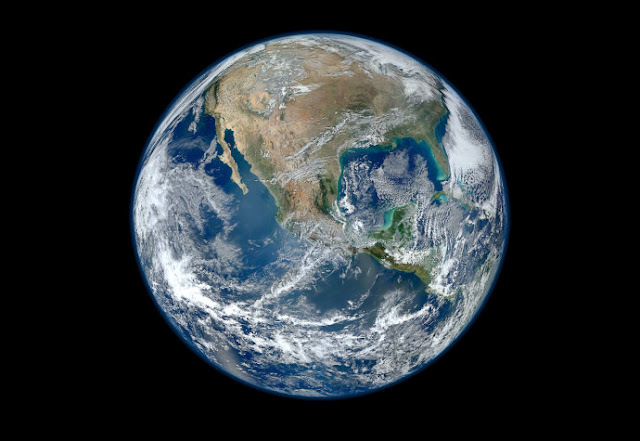 Take a look at some amazing facts about all these creatures great and small! 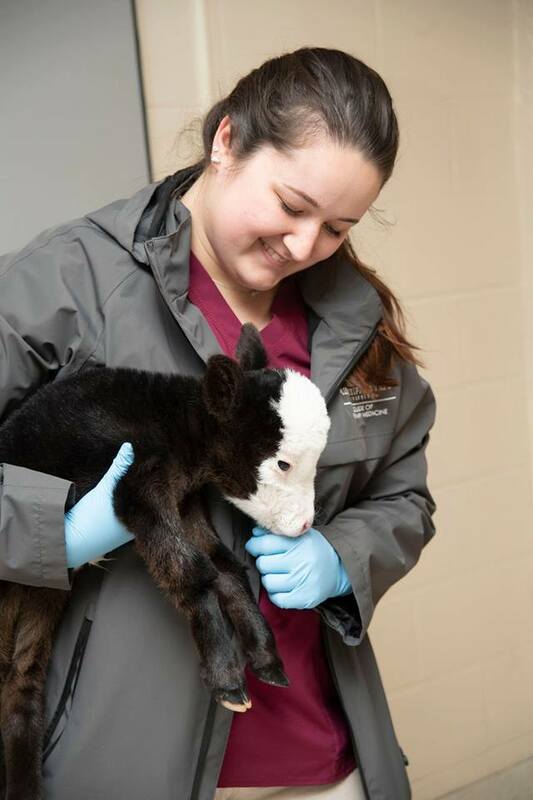 The calf was taken to the Mississippi State University College of Veterinary Medicine by his owners. But thankfully, Lil Bill’ has had the all clear from vets, he’s just a lot smaller than the other cows. Occasionally, we get a case that has us scratching our heads a bit. Lil’ Bill is one of those cases! 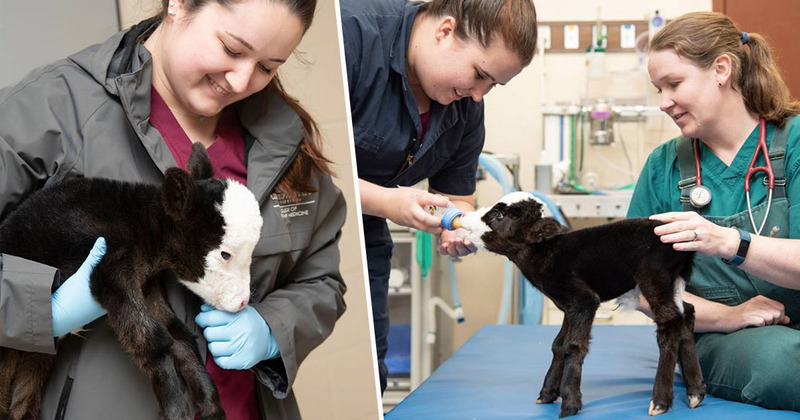 He was born weighing a little over one-tenth of what newborn calves typically weigh. Stay tuned for more updates on Lil’ Bill! At the moment, however, the vets have not revealed the reasons why they think Lil Bill is so small, though they are working on a diagnosis. Rest assured that Lil Bill is still receiving incredible care and lots of love! We are working on a story that will give you all an idea of why he’s so small, what we’re doing for him, and what his prognosis is, so keep your eyes peeled! The appearance of Lil Bill comes just days after the story of the barnyard behemoth that is Knickers went viral. Knickers, who lives in Western Australia, stands at 6ft 4inches tall, and weighs in at a whopping 220st. Knickers is what’s known as a ‘coach’ or a ‘steer’ – a castrated male cow that leads other cattle in the herd. Knickers’ owner, Geoff Pearson, tried to sell the cow at auction last month. However, meat processors at the auction said they couldn’t take him as he was simply too big. Instead, Knickers will live out his days at Geoff’s farm on Lake Preston, Myalup – around 85 miles south of Perth. When he was young, when we first got him, we had a Brahman steer [a breed of cattle] which was a friend of his. So his name was Bra… so we [had] Bra and Knickers. We never thought he would turn into a big knickers. Massive Knickers, Geoff! However, news of Knickers caught wind, and another cow – called Dozer – challenged the Australian to the title. 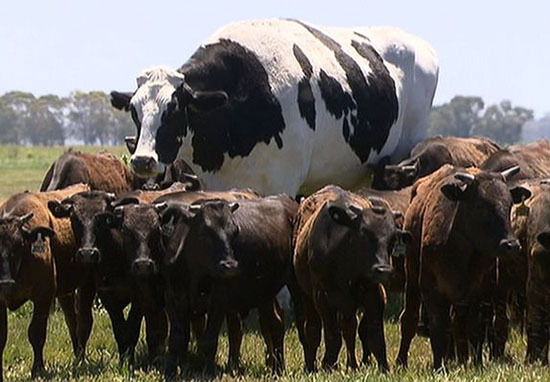 Dozer, from Kismet Creek Farm in Manitoba, Canada, apparently stands at six feet five inches – pipping Knickers to the post by an inch. Dozer is described by his owners as ‘the friendliest animal’, and ended up on their farm/animal sanctuary after being saved from a beef farm by a vegan lady in Alberta. Who’d have thought 2018’s biggest craze was cow sizes. Can’t wait to see what 2019 holds for us.